1. They’re proven. 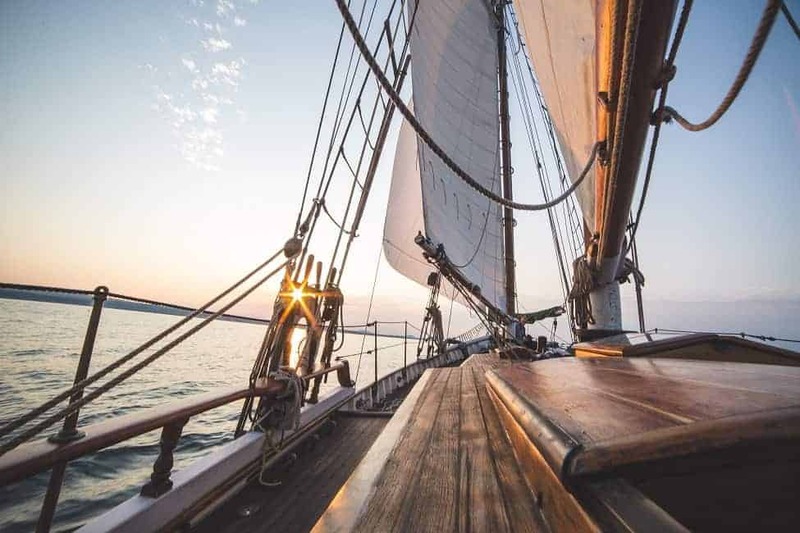 As you may have guessed from your old boat’s battle scars, she’s probably run aground, french-kissed the dock, and maybe even bounced off an iceberg or two. Yet she’s still patiently floating, ready to take you on your next (mis)adventure. 2. Used boats cost a fraction of the price to buy (leaving you with more money to pour into endless repairs and upgrades). 3. Backing up with no steering control keeps life spicy! 4. Old boats are romantic (or at least that’s what we keep telling ourselves). 5. They were built sturdy in a time when fiberglass was cheap and builders didn’t know how strong the material was. Try and order up a 2″ fibreglass hull today and you’d be laughed out of the boat yard. 6. Your old boat will get you into 2 hour long dock conversations with a fellow who once had a boat that was “similar” (except totally different) to yours. Oh wait, it turns out he’s actually never owned a boat, just thought about buying one similar to yours. Which might be interesting if you weren’t now 1.5 hours late for a meeting. 7. Old used boats keep you supple and in shape. You will discover flexibility you never knew you had when desperately stretching for a bolt at the back of your engine. 8. With age comes wisdom and old boats will teach you something, even if it’s just to profoundly lower your expectation of what you can get done in an afternoon. 9. Because life is more fun at 3 knots. Old slow boats give you time to smell the seaweed. 10. 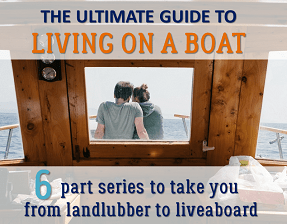 Among other boaters you will never run out of topics of conversation: how your engine is spewing oil, is 30 years too long to wait before replacing the rigging, the mysterious copper wire you found in the bilge. Your landlubbing friends, however, may disown you. 11. You can shake your head in disdain every time you find one of the previous owner’s erroneously placed wads of duck tape and mysterious gobs of Sika flex. Until, one day, you find yourself applying yet another layer of goo to your leaky hatches and you realize you’ve become the creature you so loathed. 13. Dinner parties in the cockpit are more intimate. With no space to sit, you really do have to choose your friends. 15. Because retro is cool. Welcome back to the days of Lowrance, ice boxes, and no electricity (when your house battery goes on day one of your weekend cruise). 16. 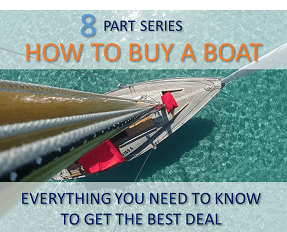 You may not have to carry the cost of insurance (because no insurance provider is crazy enough to underwrite your used boat). 18. 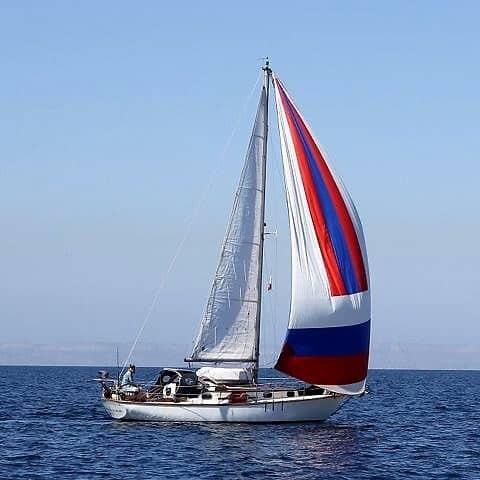 Your racing friends may sneer, but by god those bagged out old sails can still take you places. 19. Old boats have personality – often crotchety, recalcitrant, and stubborn as hell. 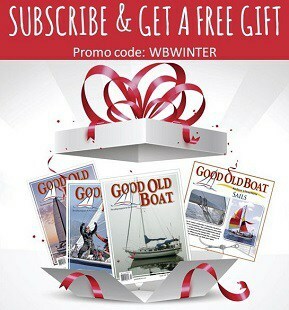 What do you love about your old boat? Let us know in the comment section below!